The adventures of Tom Sawer go on! This time together with his friends he decided to go abroad to get rich and become independent. The friends also dream about this. A cheerful group of friends set off on a long journey in a hot air balloon. The long way above America, the Atlantic Ocean, the Sahara desert and Egypt is ahead of them. They will also have a nice bit of difficult times and amazing adventures. 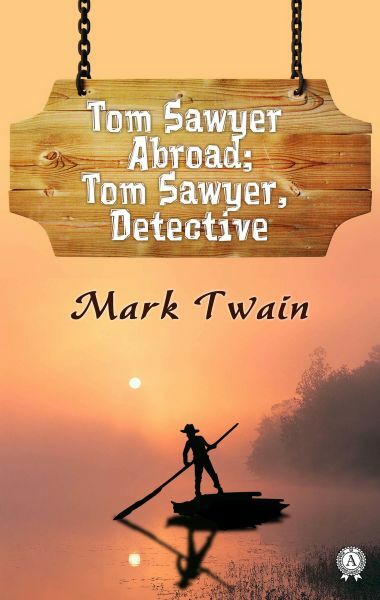 Tom Sawer and his friend Huckleberry Finn are not only free swinging boys and adventurers. Tom showed an amazing observation together with other unusual skills and became a real detective that helped not only find the thief of diamonds out, solve the artful murder but also save an innocent person from prison. The book is written as a parody on detective style, the narration is told in the first person of Huckleberry Finn.